Nokia recently released an Android launcher out into beta for the public to test out. Now, it’s limited pre beta release, so hurry up and sign up to get your invitation. Nokia Z Launcher is a project, which is currently in limited pre-beta status but anyone with a supported device can register, and take it for a spin. Z Launcher is currently optimized for popular devices including Nexus 5, Galaxy S5, S4, S3, Moto X, HTC One and Sony Xperia Z1. We able to get it install on the new LG G3. 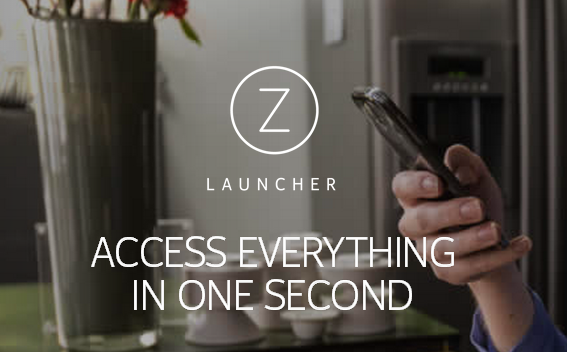 At first, the launcher looks cool and well designed, but the more I used it there wasn’t really not much to the Z Launcher. The main home screen displays the 6 apps, which are Settings, Google, Download, Calendar, Contact and Email. I’m assuming that those 6 apps will change depending on what you use in your phone the most. The more you use the launcher it starts to learn your habits. The dock for now is non-customizable and fills with common stock apps such as the phone, camera and messaging apps. The hidden talent of the Z Launcher is its gesture control. Trace a letter on the home screen and it’ll show you apps, web links and contacts beginning with that letter. Trace another letter and it’ll narrow down the selection even more. If you make a mistake, a swipe to the left will erase the last letter. It’s pretty accurate and actually pretty snappy to use. Overall, it’s a great start from Nokia. The launcher is currently in pre-beta and is being offered for download to a limited number of user at a time.